Fear of customer churn can make you feel you’re standing above a trap door, like the floor could fall away at any moment. But you’re not a passive victim. We believe in data-driven, proactive customer success that lets you take control of your churn risk and strengthen your customer relationships. 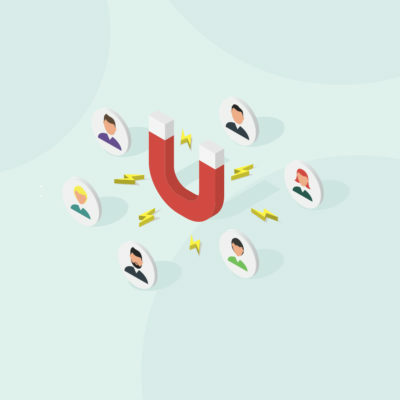 Reducing churn in this customer-centered subscription economy means placing the customer at the center of everything you do. It’s about proactive customer success, not reactive customer service. ROI-focused SaaS strategies should be based on comprehensive data gathered from every customer engagement. That information is then turned into customer solutions that create an ongoing revenue source across the entire customer journey. In short, customer knowledge conquers churn fear. The digital transformation of business has empowered customers to expect responsive, personalized service from SaaS providers. You can only provide that experience if you understand who they are, how they work, and what they need. Before we consider the solutions, let’s look at the reasons why customers churn in the first place. In most cases, data-driven customer management can rekindle interest and progress the relationship. Slow Onboarding: Customers may become frustrated with your product if there is a significant delay between the promise and the delivery. Establish a customer journey roadmap that creates realistic expectations and lets you know if progress has stalled. Internal Customer Changes: Your customer’s business isn’t static; changing teams, management, and scale can impact how they use your product. With constant customer engagement and data monitoring, though, you can use change as an agent for personalizing your messaging and upselling your service. Unclear ROI Value: Some customers have trouble seeing how your service will meet their goals. Help them benchmark their success by using statistics and accurate metrics so their growth becomes more visible. Unanswered Questions: Customers who don’t get clear, actionable answers to their questions are unlikely to renew. Regular engagements with your support staff and repeated questions around similar issues are a warning sign that you need to implement a new level of training or elevate your interactions. Remember, none of these customer churn risk factors will cause the floor to give way beneath you if you adopt the right SaaS strategies. The onboarding process doesn’t end until the customer can use your product independently. Even then, you should constantly monitor adoption rates to identify potential risk and upsell opportunities. You build a customer-centered SaaS business by gathering data during every interaction and making it accessible to every member of your team. To achieve this goal, you need a goals-centered customer success platform that places data into a visual, hierarchical system and lets you quickly identify where each account lies on the customer journey. Any team member should be able to easily identify if a customer is at risk or has entered a new phase. The right customer-data platform will help you maintain a consistent and evolving customer success effort. Each phase requires dedicated attention from your customer success team if your revenue base is to expand beyond a single transaction into an ongoing, long-term relationship. The terms nurturing and expansion are key. By leveraging customer data insights, you can proactively encourage greater product adoption and feature use over time. Staying relevant to your customer means demonstrating you can both drive and accommodate their growth. You want to keep your customers happy so they will renew, and in order to do this, you need a comprehensive understanding of your customer. Maintaining a customer success platform is integral to knowing where a customer is on their journey and what form of engagement will suit their needs. The most efficient way to accomplish this goal is by using customer data to create a customer health score. A customer health score is a simple color-coded score that can be read at a glance but is composed of complex algorithms and business rules that predict how likely a customer is to renew their subscription. It’s about using actionable, results-driven data to be proactive. Offer solutions to problems your customers have yet to encounter, demonstrate that you understand their business, and most of all, give them answers whenever they ask questions. Renewal is a not an end-of-chain customer management exercise; rather, it’s something you should be building toward in every customer engagement. Constant, in-depth customer data monitoring lets you prioritize renewals at risk so you can personalize your customer messaging to accurately target each account. The best way to beat your fear of customer churn is to gather knowledge and use it correctly. The customer-centered economy demands that we give customers an experience that is intuitive, responsive, and personal. You can’t achieve that goal without intimately knowing your customer, their needs, and their operations. By gathering customer data at every engagement and creating a real-time understanding of where they sit in their journey, you can make customers feel as if your company is built around them as individuals. You reduce churn by remaining relevant to your customer as they grow. To learn more about reducing churn, explore Spark, the customer success platform from Totango. Spark helps you access in-depth, timely customer information across hierarchies and segments so you can provide the personalized service today’s SaaS customers demand. Request a demo and we’ll show you how to retain your most valued assets—your customers. When Is The Right Time For a Customer Success Solution?